Technology is all around us, from the moment we wake up to the moment we go to sleep, and being able to master the hardware and software we interact with every day has never been more useful - so we're here to offer seven quick tips to help you do just that. You don't need a coding course or a free weekend to do these either: they should take up just five minutes of your time (or thereabouts). Start using technology in a smarter way and you can get more from your gadgets and favourite apps, beginning today. You no doubt find yourself charging up your smartphone and laptop in a rush a lot of the time, if you're just heading out of the door or trying to get an important essay finished, and there's a simple way to speed up the process: switch off your device. If your phone or laptop doesn't have to power the screen, check for updates or respond to commands from you while it's charging, the battery levels will rise much quicker. It does mean you won't be able to check Facebook for 15 minutes or so, but it's worth it. If you haven't heard of IFTTT (If This Then That) yet, sign up for a free account immediately - it actually takes less than five minutes. The service plugs together a whole range of apps, services and platforms so you can combine them in clever ways. Update your Twitter and Facebook profile pictures at the same time; save all your Instagram likes to Dropbox; pipe your Jawbone running statistics into a Google Drive spreadsheet; get a text alert if it's going to snow tomorrow; and much much more. 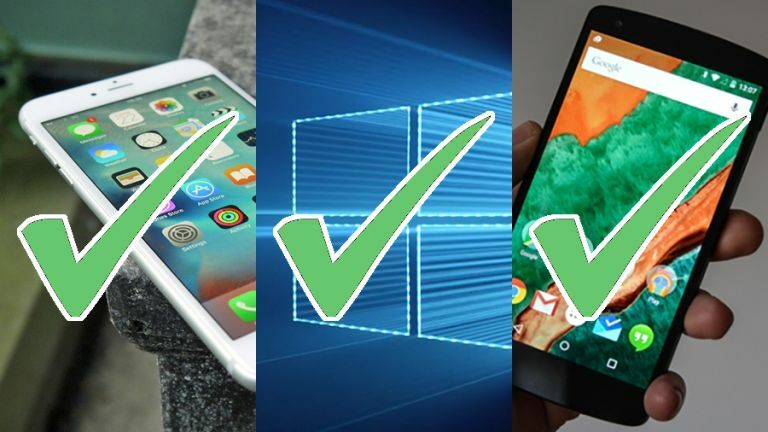 You're going to come across computer, smartphone or tablet problems sooner or later, and running a factory reset is the easiest way to blitz them all in one go - just search for the instructions for your particular device (it might take slightly longer than five minutes). The process clears out corrupted data, washes away (most) viruses, resets badly behaving apps and restores the performance of your devices back to their original state. Just make sure you've got all of your apps, data and important files backed up before you start. No matter what your most-used apps are, keyboard shortcuts can help you complete tasks in record time: hunt around on the web for the shortcuts available in the programs you use everyday and you'll soon be flying around these interfaces like a seasoned expert. Some shortcuts transcend apps and platforms: Ctrl+C (or Cmd+C) usually copies, Ctrl+F (or Cmd+F) usually finds something and the spacebar will often start and stop media playback (it works for videos on the web too). See what else you can find to make your life easier. Don't toss out your old gadgets as soon as you're done with them, because they can still prove useful. Even an ageing, slow tablet can function as an ereader with the right app, while an unneeded smartphone can be used to set up a home monitoring system. An old laptop can become a media server, streaming content around your house, and whenever you upgrade your router, the existing one could be reconfigured as a repeater (admittedly some of these may take more than five minutes, but you get the idea). Setting up a backup system doesn't take as long as you might think and can save your digital life if something goes wrong with your gadgets. How you choose to do it is up to you (there are plenty of options available) but just make sure you do something. You could plug in an external hard drive and copy over key files (30 seconds of your time), sign up for the 1TB Dropbox plan and keep everything in there (1-2 minutes) or subscribe to an all-inclusive service like Crashplan (1-2 minutes) to upload all your files to the cloud. We've spoken about how our lives have come to be dominated by modern technology, so it's important to unplug every once in a while - it could be a walk around the park, it could be reading a paperback book, or it could be actually speaking to someone face-to-face. As you might expect, there are apps and tools to help. On your smartphone there's a handy feature called aeroplane mode that will block all communications for a certain amount of time, and programs like Cold Turkey or SelfControl can help as well.